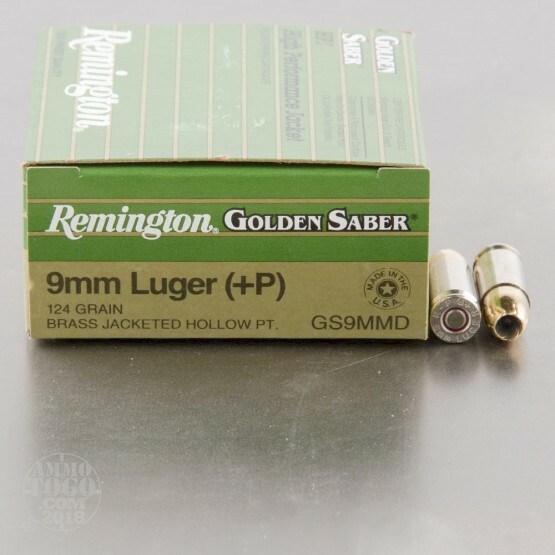 If you want your 9mm handgun to pack an extra punch and don't mind a little extra recoil, try this 9mm Luger ammunition from Remington's Golden Saber series. 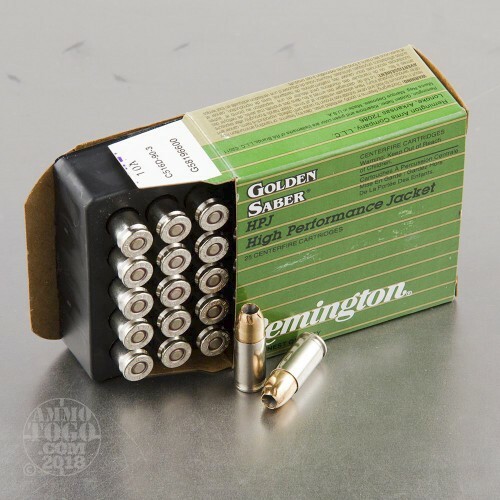 These +P cartridges are a solid choice for self-defense in handguns capable of handling the added pressures. 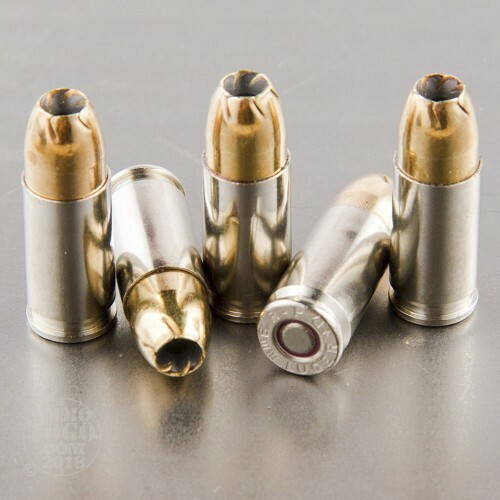 Each round in this bulk priced case of 500 fires a medium weight 124 grain jacketed hollow point bullet at a muzzle velocity of 1,180 feet per second. To enhance penetration, Golden Saber jackets are made of hard brass instead of gilding metal or copper. 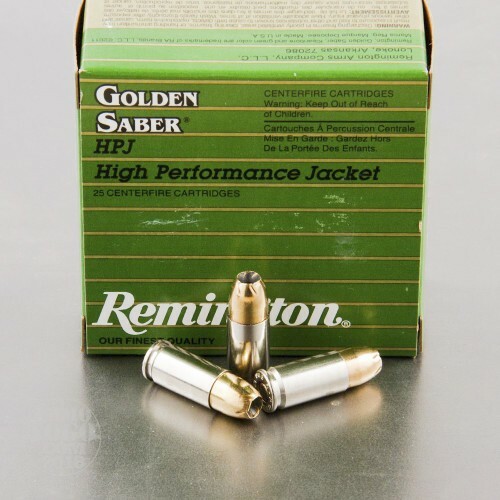 This ammo is loaded in the USA using non-corrosive primers and nickel-plated brass cases.